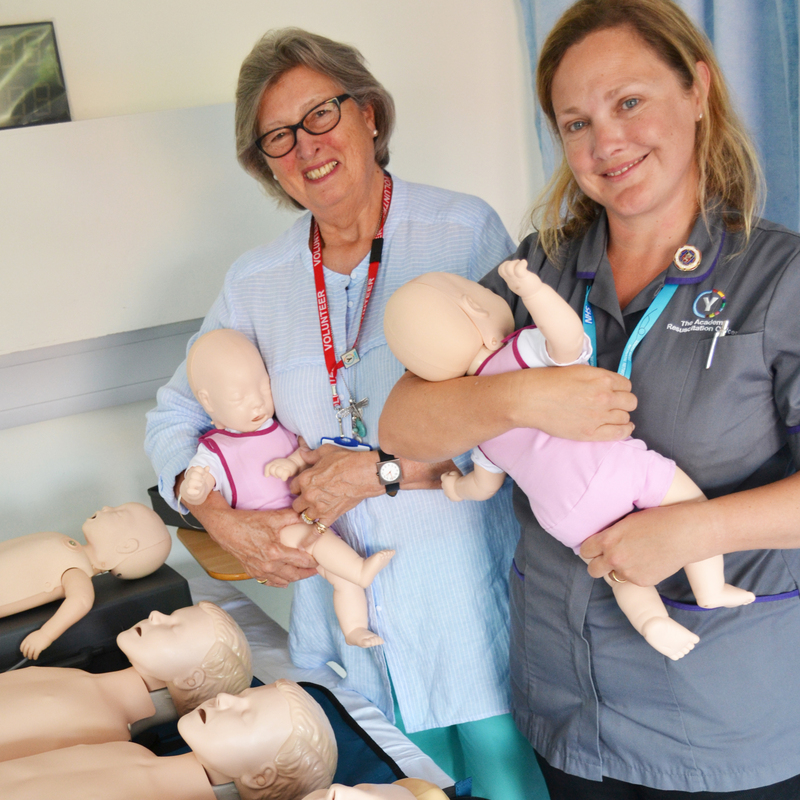 A new family has taken up residence in Yeovil Hospital’s training academy and is helping to train doctors, nurses and others in lifesaving techniques. The family of life-like patient simulators arrived in hospital earlier this year, thanks to a £7,000 grant from the Yeovil Hospital League of Friends. They have since become an invaluable part of the toolkit routinely used by the hospital to train new staff, hone the skills of existing clinicians, and even train parents of children with life-threatening health conditions. The hi-tech and anatomically correct simulators can be attached to common hospital monitoring equipment, to provide life-like readings which respond to the trainee’s actions. They can even be attached to a defibrillator to receive a ‘life-saving’ shock. “Our team uses these simulators every week to provide training to nurses, midwives, and all grades of doctors. Their design and the technology they contain enables us to clearly demonstrate practical skills, such as intubation, and allows staff to safely test their knowledge in a controlled environment. Without them our training would be far more theoretical. Chair of the League of Friends, Anne Bennett, said: “It’s been fascinating to see these simulators in action, and to learn how they’re being used to equip staff with the skills they need to help people at the most critical and crucial of times.